Editors Note: this is part one of a three part series on Bolivia’s wild and wonderful Southwest Circuit. 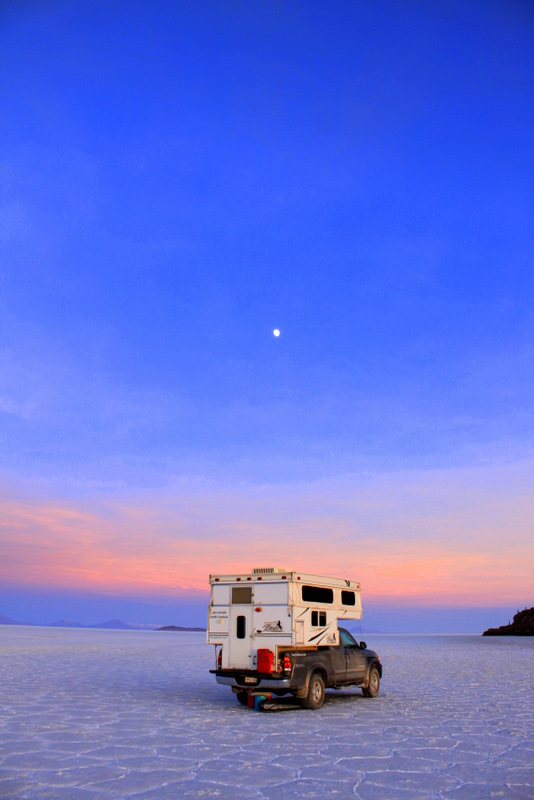 The Salar de Uyuni was our first stop on a ten day journey throughout Bolivia’s incredible southwestern circuit. 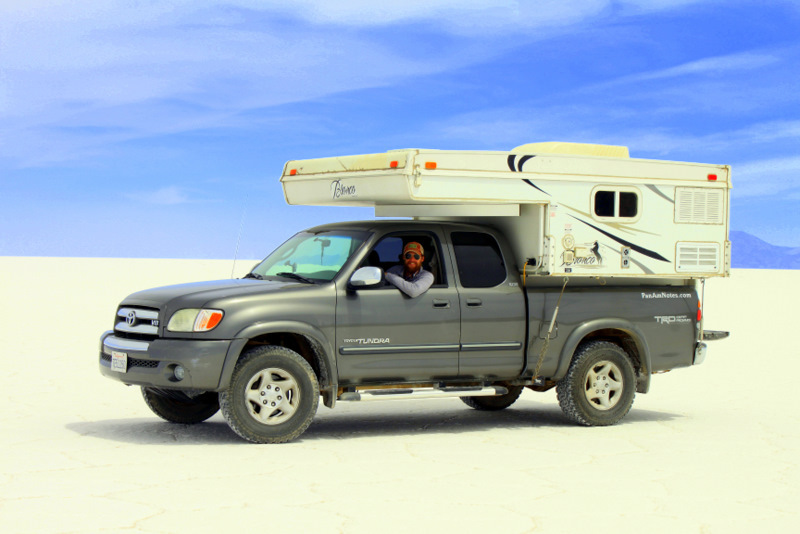 After stocking up on supplies and fuel, we struck out from the dusty town of Uyuni, a true tumbleweed outpost if there ever was one. Planning a 25,000 mile journey sounds like an impossible task. People often ask how we could route such a lengthy course. The answer is, we don’t. Our planning goes country by country, often day by day. There are, however, highlights that have been on the map since the beginning. 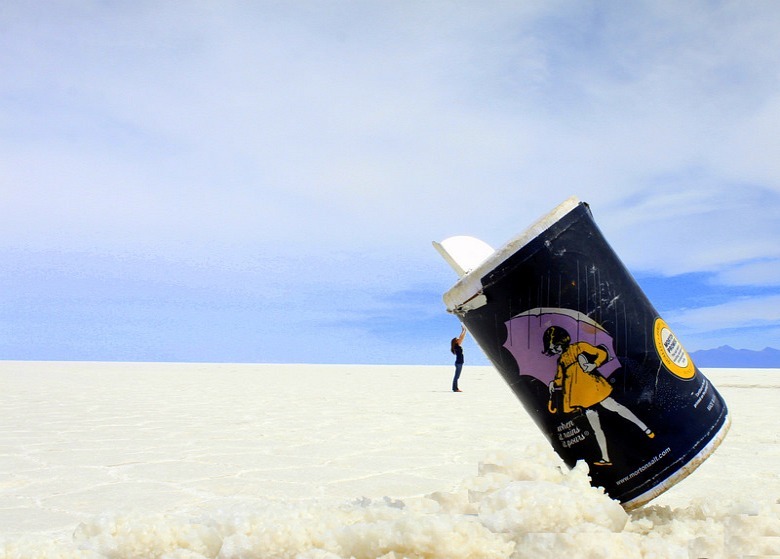 The Salar de Uyuni is one of them. 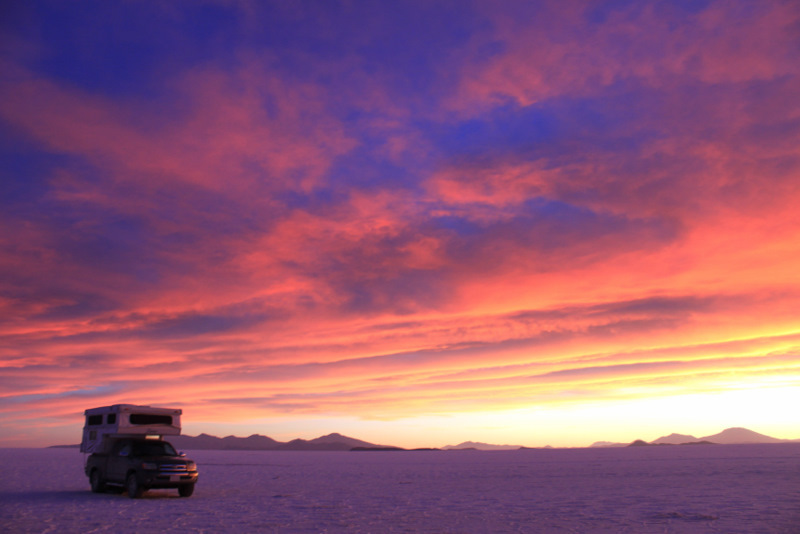 The Salar de Uyuni was formed 30,000 years ago when Lago Minchin, which covered the majority of southwestern Bolivia, dried up leaving a few small lakes and two large salt concentrations in it’s wake. 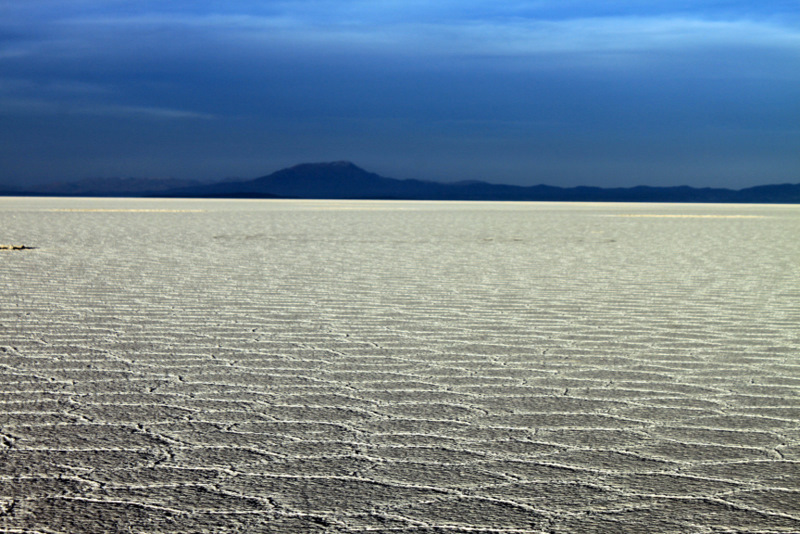 With no outlets to the sea, the Salar is a result of the lake leaching minerals from nearby mountains. The minerals settle at the lowest possible point, creating an eerie endless plane of flat, pure white, salt. 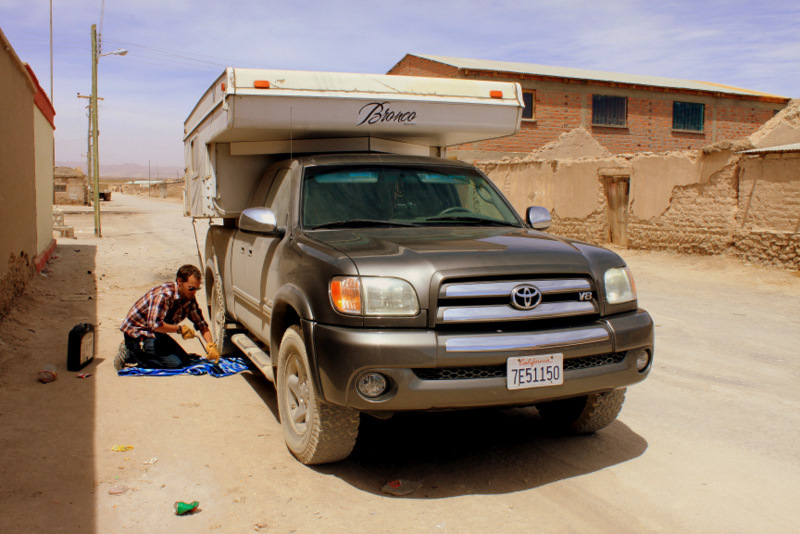 Five kilometers before the Salar, we heard a loud clanging and the terrible sound of yet another broken bolt from the suspension airbag. At this point in the trip, adjusting the airbags is a bit of a routine. Logan was under the truck for barely fifteen minutes, faulty suspension airbags, our new morning ritual. When driving onto the surface for the first time, you can’t help but think your truck is testing the limits of a dangerous ice covered lake. The salt appears cracked and withered, indeed the Salar is dotted with watery holes perpetuating the illusion of frozen water. 1km in, incomprehensible whiteness takes over. 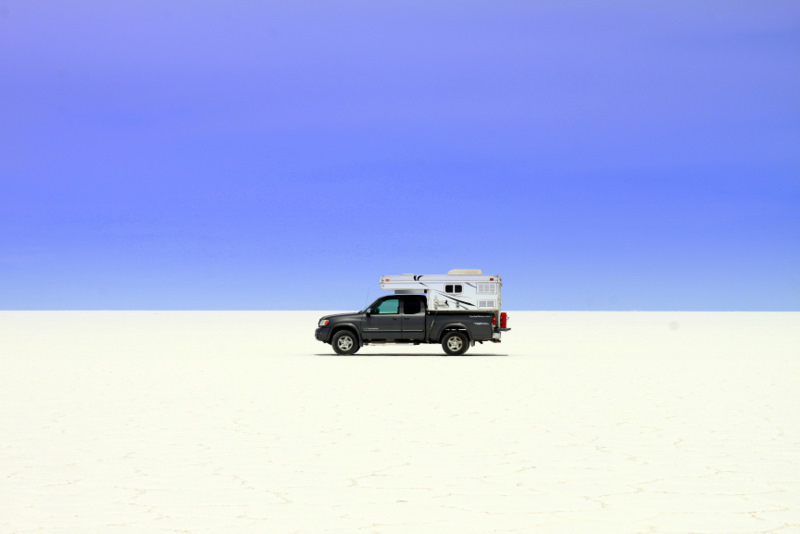 Over the course of three days we circled the Salar taking in the wide open nothingness. The sunsets were truly amazing. The morning was the only time the steady wind let up. We were up with the sun and took in the most breathtaking sunrise yet. 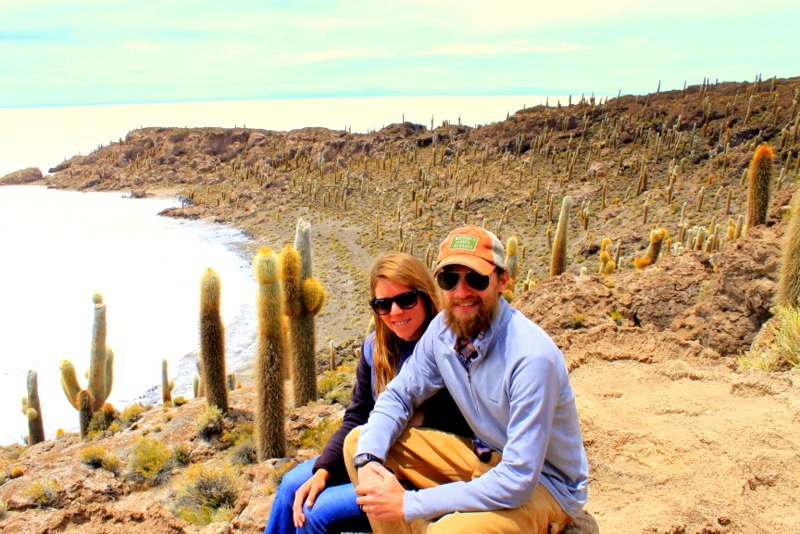 We hiked the cactus covered islands, constantly awestruck by the white expanse surrounding us. Because there is little variation on the stark white surface, and almost no competing background, perspective can be easily skewed. Accordingly, we took full advantage. I'll just set this over...here! 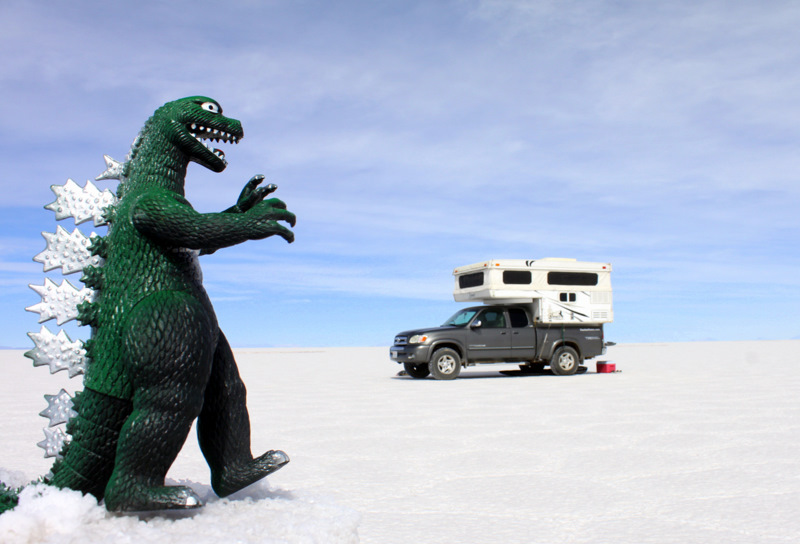 Among the many travel warnings, the fact that no one mentioned the man eating dinosaurs still roaming the altiplano of Bolivia is disturbing. You heard it here first, folks. 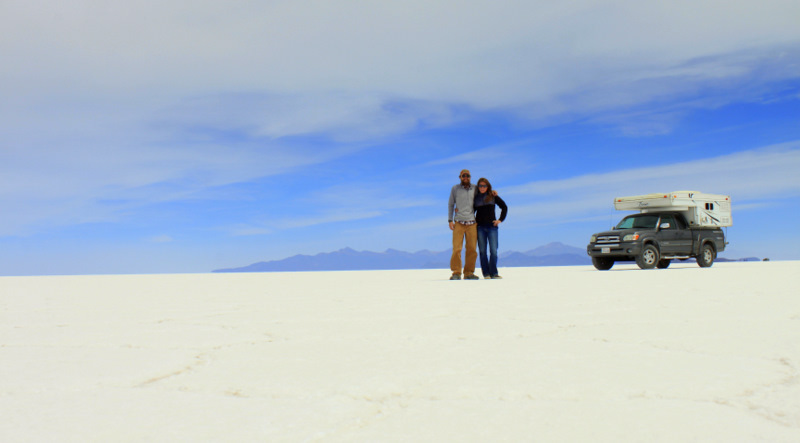 Bolivia is a terrifyingly dangerous place. 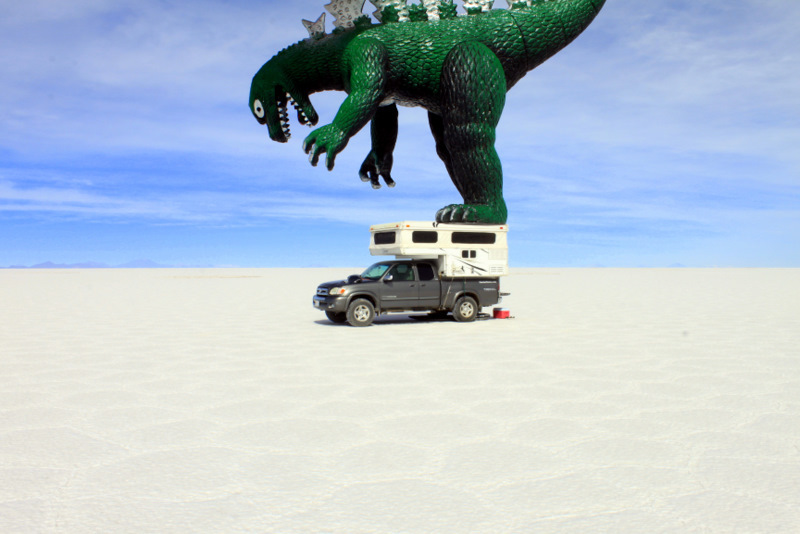 Dinosaurs will eat you and destroy your vehicle. 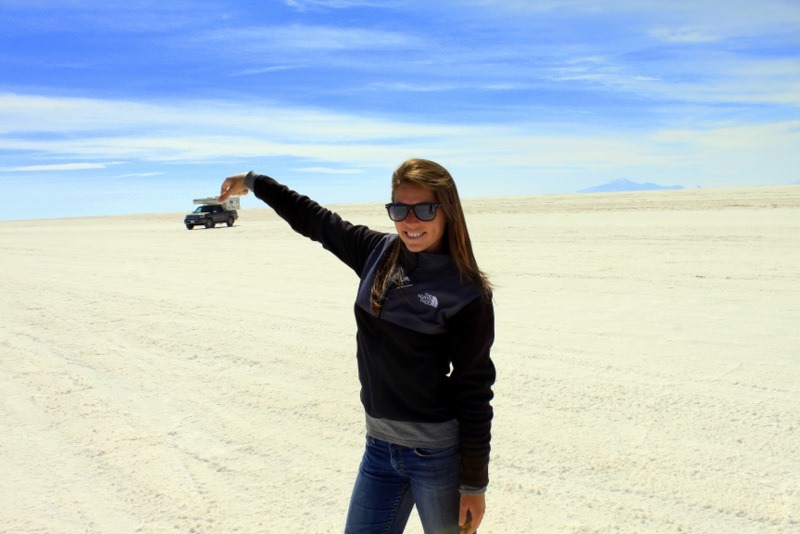 This entry was posted in Bolivia, Overland by Brianna & Logan. Bookmark the permalink. Riding the good vibes from Sajama NP, we continued the bush camp marathon with a stopover at Ojo del Inca. This is one of those spots that should not be missed. A beautiful place we would have never found if not for a friendly Swiss couple - Walter and Ruth Continue reading →. Not a whole lot more to report folks, just another day, keeping it country, living the dream.